Many MLB players have odd routines at the plate. Ichiro draws his bat out in front of himself like a bow. David Ortiz takes approximately five hours to adjust his gloves. Jonathan Lucroy touches his shoulders. 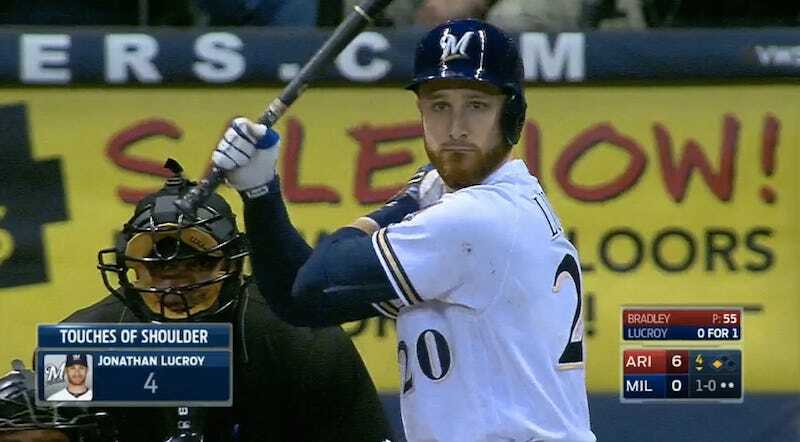 The Brewers catcher’s habit isn’t as elaborate as others’, but it is amusing. If Lucroy wants help, Chris Sale could probably modify the uniform for him.